We’ve all been in situations where we’ve felt like we were “taking two steps forward and one step back.” That’s exactly what’s happening when you work hard to optimize your advertising and marketing programs, but then realize your customer lifetime value isn’t what it should be. Your hope is that your great product or service will create loyalty and devotion. While this is sometimes the case, the truth is that it’s not always an effective strategy. If you don’t focus on your customers and make them feel valued, they’ll eventually leave—and the cost is high. People have a strong, natural desire to be known and understood. If they sense that you’re meeting this need, they will strongly prefer your business over one where they are merely another customer or client. We know that customer service ratings plummet when customers feel they are being ignored; the same is true when they feel rushed. There’s a huge clue in that second item. A winning tactic may be as simple as investing a bit more time with each customer. This simple strategy should be included on any list of ways to boost your business. Exactly how this looks in your business is up to you, but take some time to create real relationships with your customers. Do you remember the theme song from the long-running sitcom Cheers? Its title—and most memorable lyric—was “Where everybody knows your name.” That reflects the kind of relationship that keeps people coming back. We said that customers don’t want to be ignored or rushed. One thing they do want is to feel heard. Allowing customers to speak for themselves plays a critical role in creating a positive customer experience. Systems like surveys or just asking your loyal customers for feedback will help you know how they feel about your business and its products and services. Your customers can offer great insights to what would keep them coming back and supporting your business. Put their suggestions into effect and revise them as needed. Haven’t done business recently with a long-time client? Get on the phone and find out what’s up. Don’t make it a sales call. This can also be a powerful tool when you know that you’ve lost someone’s business. If necessary, incentivize follow-up calls to former customers with a (third-party) gift card or some other small token that proves you value their time and comments. Thank-yous are nice, but an unexpected surprise is even more effective. People don’t forget when pleasant, unexpected things come their way—a random act of kindness will leave a lasting impression. For some businesses, these could be as big as providing backstage pass to a major concert, or tickets to a rugby match. However, they can also be as small as a birthday greeting that includes a special freebie. If you understand that customer service is the most important thing you can do to help your business grow, you’re correct. There are customer service lessons every business should learn, and one is to practice anticipatory service. Anticipatory service is the style of customer service when your business anticipates problems that may occur and stops them before they can happen. You can do something as simple as calling a customer to see if they have any questions before they call you to seek help. Being proactive and establishing dialogue will show awareness from your company and prove that you have respect for your customers’ time. No one wants to waste precious time having to repeatedly call a business for help. One-time customers won’t fuel the growth of your business. In fact, they tend to be a net drain on your bottom line by costing more to acquire than is gained by a single sale. Retaining customers is vital for sustained business success. 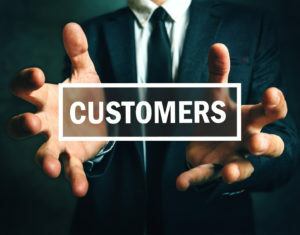 Learn how to actively engage your customers and put a strong customer retention plan in place with extensive systemization and training. Do not leave it to chance! It’s a necessary investment for generating the future revenue that will ensure your business thrives.